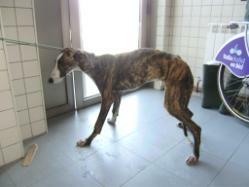 It’s Eva here… some of you might know that I manage the info@scoobymedina.org email account for the shelter in Spain. I have been doing so since 2004 and its something I still do along side of Scooby Canada. I field the emails and forward to the appropriate person. In Valladolid there is a young galgo but the photo is a very little one, and there is no other description. Do you have a possibility to get in touch with this perrera? I know from your homepage that you sometimes take over galgos from there, and I don’t know, how long a dog can stay there…. With many greetings from Germany and merry Christmas!!! Thank you for your help! I forwarded the email and Cobie kindly responded explaining that this pound (perrera) kept dogs for 20 days and after that, contacts Scooby to take the dog(s) if possible. 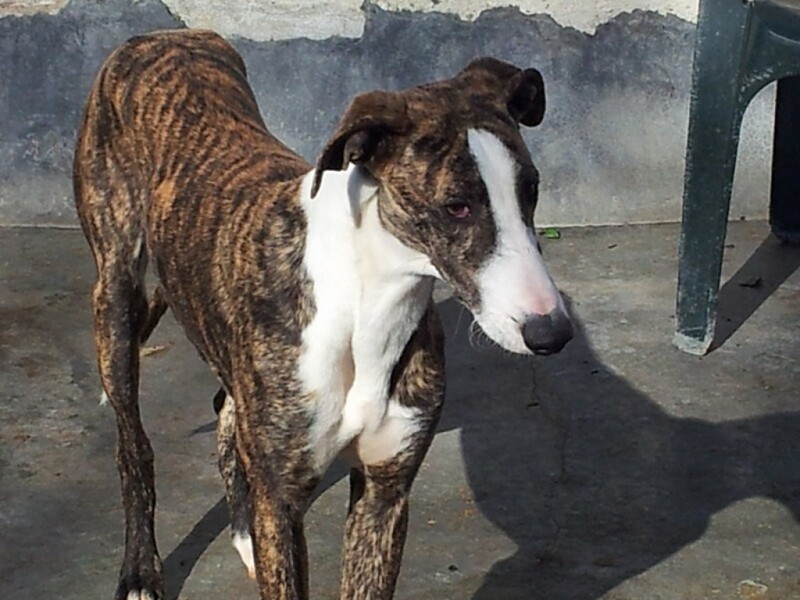 Since he was found on Dec 11, the Galgo would have to wait until Dec 31. Not the best way to spend the holidays! However, he was sprung from the pound and on January 9th, he was entered into Scooby database under the name Piny. On February 20, he was officially reserved for Scooby Canada, to be adopted in Regina, Saskatchewan! Between April 15 – 18 Piny travelled from Madrid to Chicago to Crystal Lake, Illinois to Wisconsin Dells, Wisconsin, to Minneapolis, Minnesota to Fargo, North Dakota, to Minot, North Dakota and finally to Regina, Saskatchewan, Canada! This was all possible with the help, support and love from fellow sight hound lovers. Debbie Wise Smith from Scooby North America, Travis Patenaude from Love, Hope, Believe Galgo Rescue, Kelly Trainor, Brad Kittleson, Kathleen Seal, Michelle Brueggemann from Minnesota Greyhound Rescue and Greyhounds in Need of Transport Facebook Group. 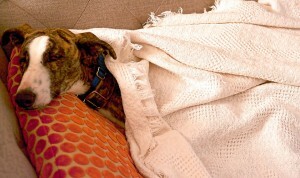 And of course, thank you to Garson and Susan for opening their hearts and home to dear Piny. Scooby Canada and Piny’s family, thanks you so much for helping this unwanted Galgo, who on Christmas Eve caught the eye of a German animal lover, and finally made his long journey over to Canada. Merry Christmas Piny!